Watch the trailer for “Green Day iHeartRadio Album Release Party on AT&T” airing Friday, October 21, at 9:00 p.m. ET/PT on AUDIENCE Network, DIRECTV Ch 239/U-verse Ch 1114 (here). Tune in to watch “Green Day iHeartRadio Album Release Party on AT&T,” airing exclusively via nationwide broadcast Friday, October 21 at 9:00 pm ET/PT on the AUDIENCE Network, DIRECTV Ch 239/U-verse Ch 1114. Green Day’s new album Revolution Radio is out now on Reprise Records (here). AUDIENCE Network’s multiple series of original and exclusive performances gives music fans an intimate view of music’s most influential artists today. 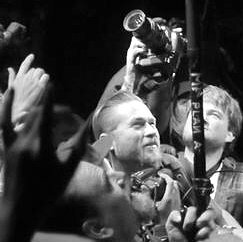 The network collaborates directly with musicians to create a unique show from their perspective. Green Day is an American punk rock band composed of vocalist/guitarist Billie Joe Armstrong, bassist Mike Dirnt and drummer Tré Cool. Formed in 1986, Green Day was originally part of the punk scene at the DIY 924 Gilman Street club in Berkeley, California. The band’s early releases were with the independent record label Lookout! Records. In 1994, its major label debut Dookie (released through Reprise Records) became a breakout success and eventually sold over 10 million copies in the United States. Green Day was widely credited with popularizing and reviving mainstream interest in punk rock in the United States. Green Day’s follow up albums Insomniac (1995) and Nimrod (1997) each sold over two million albums and were certified Double Platinum, and Warning (2000) was certified Platinum. 2004 brought the band’s rock opera American Idiot which reignited the band’s popularity with a younger generation and sold over six million copies in the United States. Green Day is one of the world’s best-selling bands of all time, having sold more than 75 million records worldwide. The group has won five GRAMMY Awards: “Best Alternative Album” for Dookie, “Best Rock Album” for American Idiot, “Record of the Year” for “Boulevard of Broken Dreams,” “Best Rock Album” for the second time for 21st Century Breakdown and “Best Musical Show Album” for American Idiot: The Original Broadway Cast Recording. In 2010, a stage adaptation of American Idiot debuted on Broadway. On April 18, 2015, the band was inducted into the Rock and Roll Hall of Fame as a part of the 2015 class in what was their first year of eligibility for induction. 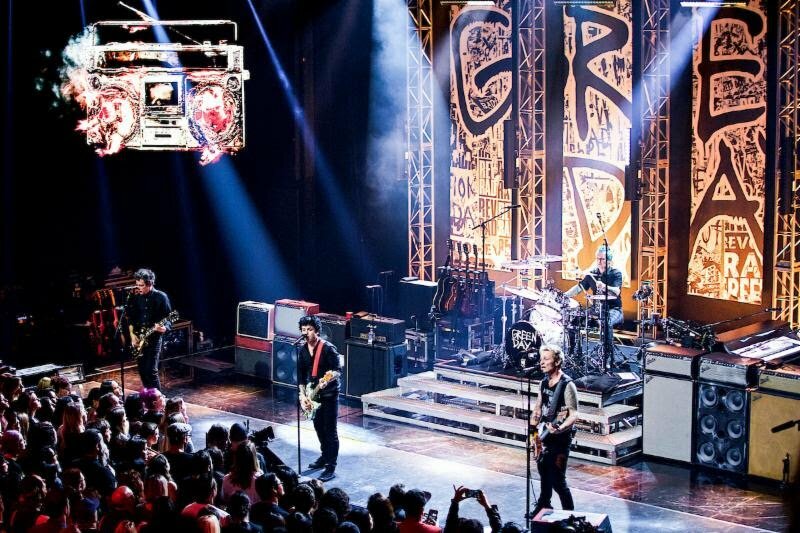 On October 16, 2015, Green Day released the documentary Heart Like A Hand Grenade, an unprecedented behind the scenes look at the writing and recording of their legendary album American Idiot. For more information on Green Day, visit: Website: www.greenday.com, Facebook: www.facebook.com/GreenDay, Twitter: http://twitter.com/greenday and Instagram: https://www.instagram.com/greenday/.